Eric Trump hit back on Monday at golf writer James Dodson's claims about something Trump allegedly said three years ago. In an interview with WBUR on Friday, Dodson said that the president's son told him Trump golf courses didn't rely on funding from American banks post-recession. 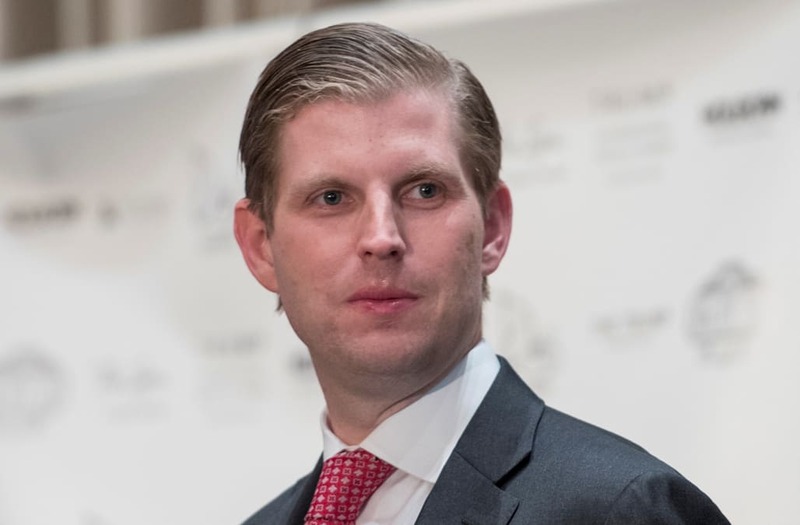 "We have all the funding we need out of Russia," Eric reportedly said. "Oh, yeah," he said Eric answered. "We've got some guys that really, really love golf, and they're really invested in our programs. We just go there all the time." On Monday, Eric blasted the writer's account of their interaction. "This story is completely fabricated and just another example of why there is such a deep distrust of the media in our country. #FakeNews," he tweeted. Donald Trump's campaign associates and his businesses have repeatedly come under fire since the 2016 election over questions of their ties to Russia. Some of his campaign associates are currently under investigation for their contact with Russian officials. Russian interference in the US election is also the subject of a Senate Intelligence Committee investigation. Trump's former national security adviser Michael Flynn was forced to resign in February after it emerged that he had misled Vice President Mike Pence about conversations he'd had with Russia's ambassador to the US, Sergey Kislyak. Attorney General Jeff Sessions recused himself from any current or future Justice Department investigations into the Trump campaign after it was reported that he, too, had repeated contacts with Russian officials. A Reuters investigation in March also found that more than 60 people with Russian ties had invested almost $100 million in seven Trump properties in southern Florida.